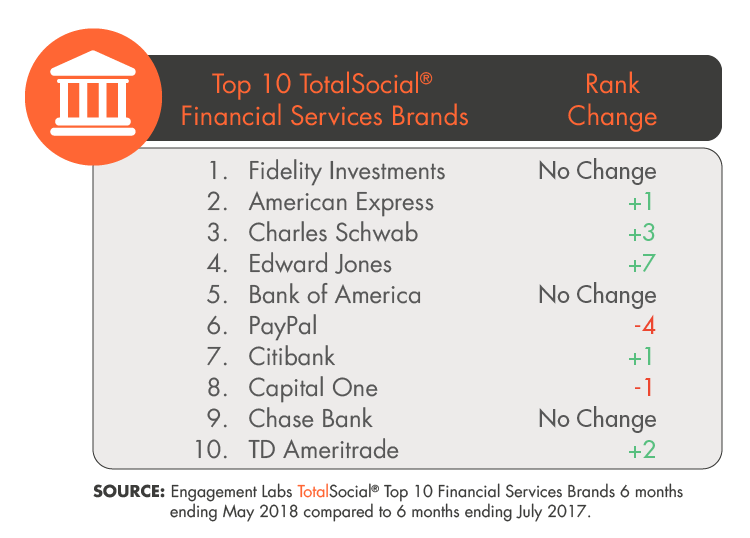 NEW YORK, NY (July 26, 2018) – Engagement Labs (TSXV: EL) (OTCQB: ELBSF), an industry-leading data and analytics firm that focuses on the entire social ecosystem and its impact on business, today released its TotalSocial® ranking of the top automotive brands in the U.S. based on social influence. The analysis is unique in that it combines offline and online consumer conversations and is based on Engagement Labs’ proprietary TotalSocial data and analytics, which continuously measures the most important drivers of brand performance in both face-to-face (offline) and social media (online) conversations. 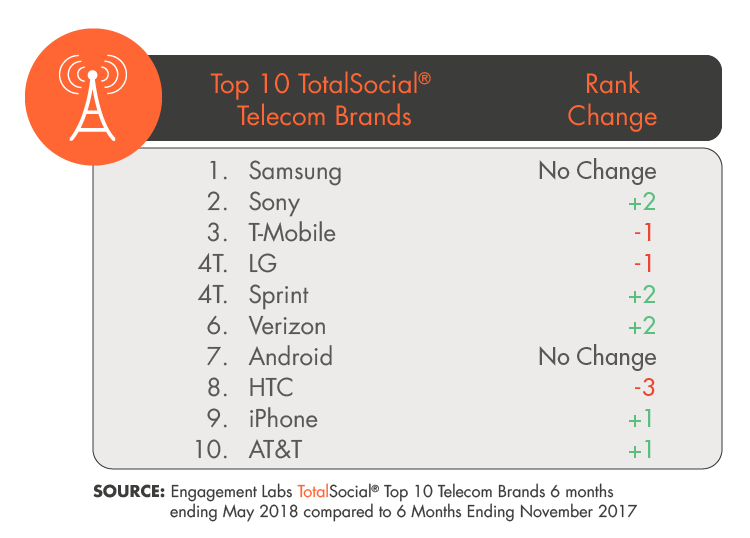 The brands in the top ten have earned the highest TotalSocial scores in the category for the last six months, compared to the Company’s previous ranking in October 2017. BMW, another brand which saw an increase in online sentiment and influence, bumped up to third place in the top ten from its previous ranking as number seven. The company recently engaged its most influential consumers through the launch of its subscription service, “Access by BMW,” a pilot program which offers its members access to a diverse fleet of BMW vehicles in exchange for a monthly subscription fee.Luxury automotive brand Lamborghini rose to the top spot in the ranking, from its previous position at number four, due to an increase in online sentiment and offline influence—demonstrating that consumers are talking more positively about the brand via social media, while a more influential group of consumers are spreading the word about the brand in face-to-face conversations. In December 2017, the brand announced its new SUV that is set to hit the market this summer, marking the first time Lamborghini has included an SUV in its product line in more than 20 years. The biggest improvement among the top ten came from Subaru, which moved up the ranks by eight spots all the way to fifth place due to a spike in both online and offline sentiment. Customers of Subaru are known to be fiercely loyal to the brand, and its popular “Share the Love” campaign, which is in its tenth year, includes a donation to a charity of the customer’s choice when they purchase a Subaru. 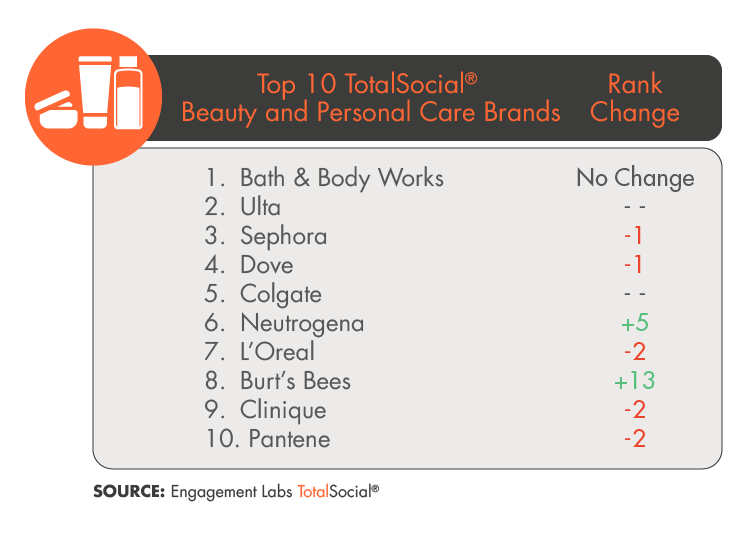 While many brands saw an increase and were lifted higher in the ranking, others didn’t fare as well. For example, Ferrari fell from first place in the ranking down to sixth place. The luxury automaker dropped due to a large decline in the number of influential consumers talking about the brand via social media and face-to-face conversations, as measured by Engagement Labs’ online and offline influence scores. Meanwhile, Honda, which recently reported trouble with sales of its 2018 Accord, fell out of the top ten ranking completely due to a decline in online and offline influence, placing it at number 15. In addition, Tesla dropped from its number two spot from the previous ranking down to number ten. Tesla’s decline in the top ten can be attributed primarily to a decrease in online sentiment. The brand failed to generate positive conversations in light of its recent controversies surrounding production issues with its Model 3 as well as another death linked to the company’s autopilot system. NEW YORK, NY (April 24, 2018) – Before consumers buy, they talk. They seek recommendations from friends, co-workers and family about where to shop, what to eat or drink and what shows to watch. Such conversations have a large impact on the revenue of the brands being discussed. According to Engagement Labs’ analytics, consumer conversations drive 19% of all consumer sales. In a recent analysis of more than 500 consumer brands in a variety of categories, Engagement Labs ranked the brands that are the most talked about in consumer conversations. The rankings, which are part of the Company’s TotalSocial® Brand Awards series, are based on the volume of conversation about the brand online (via social media) and offline (via face-to-face conversations). The awards are based on Engagement Labs’ proprietary TotalSocial data, which continuously measures the four most important drivers of brand performance. These are: brand sharing (the extent to which people are sharing or talking about a brand’s marketing or advertising), sentiment (having more positive than negative conversations), volume (a measure of how many conversations mention a brand) and influence (the extent to which an influential audience is talking about a brand). 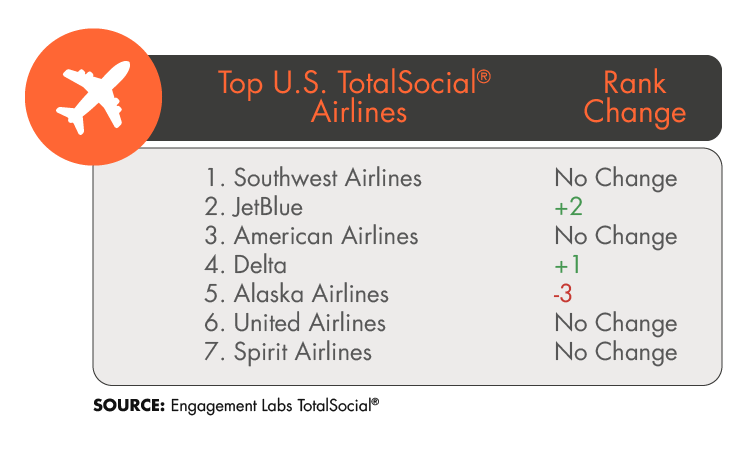 Previously, Engagement Labs announced awards for the highest scoring brands in three of the TotalSocial categories: brand sharing, sentiment and influence. The Most Talked About Brand Award is given to those with the highest volume scores online and offline in 2017. To find the full list of winners across additional categories, click here.